So by now it's pretty clear that I'm not going to finish this gig by the end of 2013. On the plus side, however, I'm married, my dog is recovering well from cancer, and the day job seems to be picking up. A long time coming has been Trace's sprite overhaul, which I've put off for months, if not years, owing to just how long and tedious a task it would be. However, the base sprite is done, now! 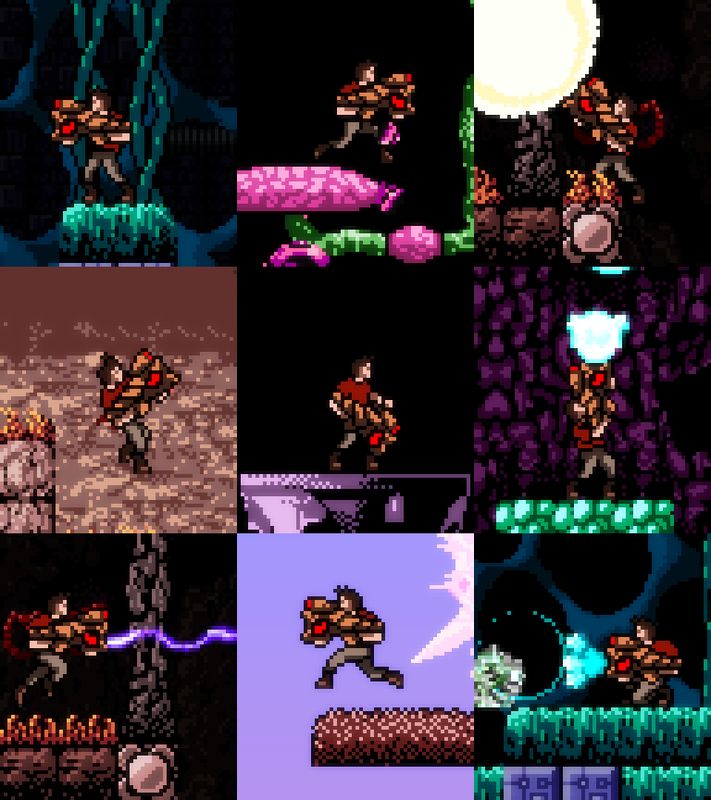 Here are some screens of the new sprite running around in the game world.